Hello, this is the RPG Crawler, and welcome to a quick review of Mezhdy Rek, by Joseph Cadotte. Mezhdy Rek is an independent, low-level adventure for Dungeons and Dragons 5th edition, available through the Dungeon Master’s Guild. I was sent a review copy of this particular product. However, it lists at only a $1.95 for the pdf currently, so we’ll see if meets that bar for quality. First, the technical details. The PDF is 57 pages, including a cover page, and the adventure itself is written for a group of characters of level 1-5, with enough variety in the content to be able to start and progress anywhere through that range. The adventure site itself consists of a town, and there are 8 different main and mini quests included, at least three major factions to play against one another, opportunities for long term character investment in the town, and a scattering of statted NPCs and minor items. The artwork within consists of flat line drawings done in a style reminiscent of oldschool adventure art, clean and crisp classic graph maps and a few full color versions of the town map itself. I want to say that it’s overall a bit better than I’d expect from a low budget third party production, but probably needs just a smidge more refinement before reaching that next tier of higher end releases. I feel like that’s going to be a recurring theme through this review. It’s way better than expected, the art is consistently produced and looks like it belongs in the same product, which is better than the usual patchwork you get in these first module type situations. The maps do stand out a bit, and for instance might be best put through a filter to give them a similar feel to the line art, or at the very least have their key fonts adjusted to line up more clearly. As it stands, the maps are quite clear and legible, but could use a bit of polish. The layout is a pretty standard two column layout that flows around pictures, well done and consistent throughout. The writing quality is high, but is in dire need of a copy editor. I uncovered many usage and a few grammatical errors throughout, not enough to detract from the overall flow, but enough to be quite noticeable. Maybe it’s just the fact that I used to be a copy editor and tend to notice these things, at least in other people’s works. Anyway, I normally wouldn’t note this quite so much, but when the quality of the writing otherwise is so high, and there’s clearly been so much time devoted to fleshing out the history of the town, the backstory its citizens and so forth, then I feel like glossing over this would be a disservice. Technically set in a little town in the Forgotten Realms, the adventure is generic enough to be moved into almost any standard fantasy campaign. And indeed, it might be a little too generic, because almost nothing in the adventure really ‘lines up’ from a history or locale perspective with the forgotten realms setting. Oh, they give some suggestions as to where to put it, such as near Thay or Zakhara, which they call Al-Qadim. And that might work, but a lot of it sounds like the authors wrote the adventure, and then tried to shoehorn it into Faerun somewhere so that they could list it on the DM’s Guild instead of via the OGL. 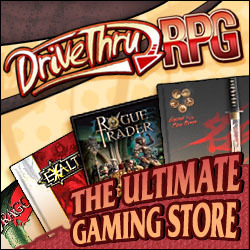 Although now that I’ve made the point of mentioning it, I’m not going to hold that too much against them, partly because the rules for release under the DMs Guild can get a little silly, and partly because a lot of the setting issues arise because of the inclusion of a detailed history of the town itself. There’s like four pages of history of the town, covering its founding as an outpost of some unnamed empire, its rise and fall throughout the ages, until it finally comes under the watchful eyes of the Smeet family. I appreciate this, truly, although I wonder just how many players will bother with it all. Still, this inclusion does make sense, considering just how old one of the major NPCs is, and how much of a role she played in the town’s past. It’ll also allow characters with points in history to have something to draw on. The adventure itself takes place within the town and its surroundings, and rather than having some sort of nearby dungeon site to crawl through, most of the meat of the adventure is in the intrigues and interactions among the people themselves. When the characters arrive, a new mayor has been appointed to replace a prior one who disappeared under mysterious circumstances, and the local baron himself has only ascended after his mother died under similarly suspicious events. Throughout it all, gangs of smugglers have taken to the network of caves under the town, people and goods have been disappearing, and the local lizardfolk tribe is under growing threat from some outside force. Suffice to say that there is a LOT to do around town. In terms of factions in town, there is the corrupt mayor and the even more corrupt baron, the baron’s priest of Bane who may or may not be at odds with the baron himself, the local priestess of Lathander, and the sheriff she appointed, a pair of married bards whose competing casinos make them look like they’re more at odds than they think, and even the common folk are split over what industries to develop over the area, separating themselves into the ‘Fruits’ vs. the ‘Cows’. There’s even a local lizardfolk tribe, the Shhnn, who have a symbiotic relationship with the town and are seeking to better integrate themselves. While this seems to pit almost every individual against another within town, it does provide a ripe area for DM improvisation and player interaction. For quests, the players can take several ways to approach them, and many have consequences depending on whether the party succeeds or fails, or even which side they decide to help. There’s even the possibility of helping the ‘villains’ of the scenario, which is an option I like seeing in a game. Further, as the characters solve certain quests, the attitude of townsfolk will change toward them, allowing them to obtain services they couldn’t before, or at a discount, and unlocking access to further quests and allies. The way that it is scaled throughout the adventure means that active characters will find their own status and regard in town going up slowly over time, rather than simply getting the town’s friendship at the end of everything. The bulk of the quests are done in town, as I mentioned, and they present a good mix of combat, investigation, and intrigue. Furthermore, a lot of the quests have multiple approaches, so if your group is heavy on social characters, they can be accomplished in one way, whereas a combat heavy group can generally bull through them as well, albeit with much more in the way of collateral damage. The sandbox nature of the town means that the quests can be approached in almost any order, and although some are only ‘officially’ given once the characters have made a name for themselves, an observant party can already be making progress toward them from the very get go. One thing I did note is that some quests do require you to go through the tunnels under the town, and while there’s not an official ‘map’ for most of these tunnels, the adventure provides a random generation key and encounter key so that characters who enjoy a dungeon crawl can traverse them with the DM generating the map on the fly. Further, the encounter key for the tunnels changes depending on the status of some quests, solving things like the disappearance of the prior mayor or dispersing the smuggling gangs will make traveling the tunnels safer. There’s opportunities for the players to invest in the town’s industries, which may pay off years down the line depending on what the characters end up accomplishing in town, and there’s even an option for DMs to allow for local political involvement for the party, depending on how things go. The need for more polish and the quirks in integrating the existing history into an existing setting notwithstanding, I think Mezhdy Rek is an outstanding adventure, especially for low level characters. The town itself is written to feel ‘alive’, the npcs are well developed and their interactions believable, and the adaptive plot points support a wide variety of playstyles. For the price it’s listed at, it’ll provide at least several sessions of play for your typical party, and then leave them with a solid base of operations from which to expand their adventures when all is said and done. I would genuinely like to see the nitpicks I had with it addressed, if only because I see a fair amount of potential here for future modules from the same team. I would definitely like to see how this author would handle a more classic site based adventure or a linked adventure path. Until next time, take care and good bye!